Janet Wecker Frisch delivers a gardener's paradise with Sewing Seeds. 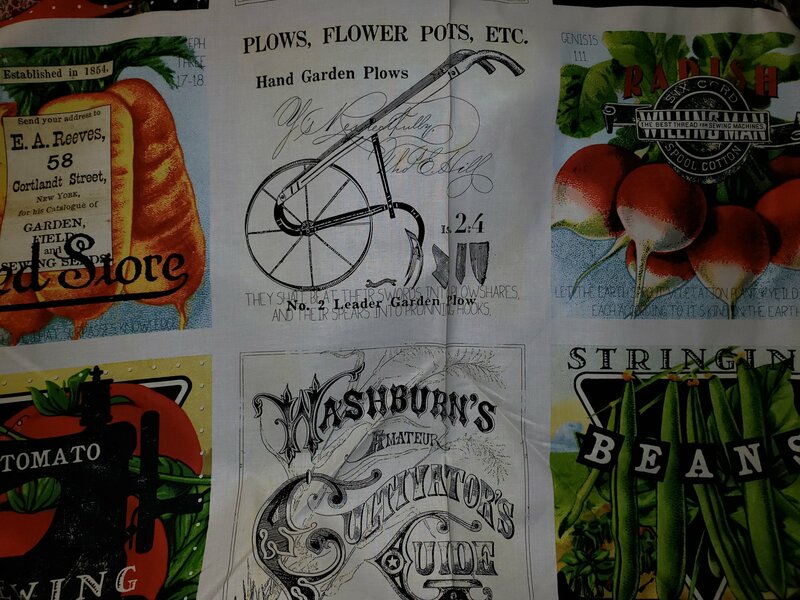 The signature styling of Janet's artwork captures the whimsy of vegetable gardening with a variety of patches. Seed packets of heirloom tomatoes coupled with dynamic coordinate textures make a wonderful collection.